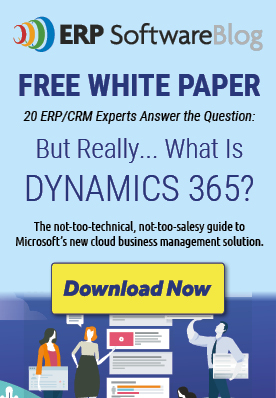 August 21, 2014 by iCepts Technology Group, Inc.
Microsoft Dynamics NAV is a proven Enterprise Solution for Small to Mid Sized companies. NAV's latest enhancement, NAV 2013, has many new features for better inventory management for your wholesale distribution or manufacturing company. We will highlight some of the features in part 2 of this article. Better Inventory Management is achieved through effectively managing Stock Keeping Units (SKU's); key feature requirement in today's modern ERP Systems. With Microsoft Dynamics NAV 2013, identical items with the same item number can be stored in different locations and managed individually at each location: add cost prices, replenishment, manufacturing information-all based on location. Also, with Item Tracking in Microsoft Dynamics NAV, a company can assign serial or lot numbers manually or automatically, and receive and ship multiple quantities with serial/lot numbers from a single order line entry. Better inventory management functionality continues with Location Transfers which is a method to track inventory as it is moved from one location to another and account for the value of inventory in transit along with various locations. The Non Stock Items feature in Dynamics NAV allow for the option to offer items to customers that are not part of your regular inventory but that you can order from the vendor or manufacturer on a one-off basis. Such items are registered as non stock items but otherwise are treated like any other items.